How we track performance and act on performance metrics is changing rapidly. Your traditional one-size-fits-all KPIs and annual reviews of corporate past are antiquated. Performance is a vital metric in business, but many organizations aren’t aware that the methods they are using aren’t efficiently tracking or improving performance. Performance management will never be the same. Find out what the future holds for this currently broken organizational practice. 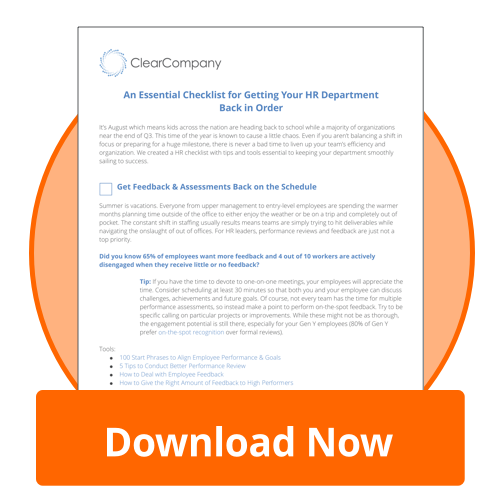 Download this essencial HR Checklist! Have you ever experienced a professional success, or put in the extra effort, only to have no one notice it? It has probably happened to each and every one of us, and we know first hand that it doesn’t take long for disengagement and bitterness to set in. Real-time tracking of success not only keeps issues in check, more importantly, it allows leaders to celebrate successes when they happen, ensuring that the behavior that lead to the success continues. What does the future of performance and #HR look like? Find out! A reported 71% of employees are disengaged at work. This is a costly problem that many experts believe is caused by several different elements, one being that employees aren’t getting consistent feedback. Annual reviews have proven to be extremely ineffective in setting goals, tracking or improving performance. Instead, employees need shorter, frequent reviews that allow for a dialogue, not just a “speaking to”. When leaders optimize their performance management, they are then able to more accurately allocate talent effectively and even proactively. When leaders have an accurate picture of their talent needs, strengths and weaknesses, they are able to put the right talent exactly where it needs to be. Without such knowledge, management is simply taking a shot in the dark. Good performance management is a lot like taking inventory. 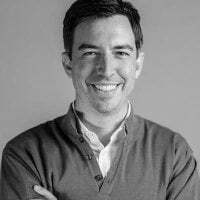 Many of the organizations that I have worked with dedicate massive amounts of resources to taking inventory of their products on a monthly, or even weekly basis with the newest tools and tech to keep track of it all. Why aren’t we taking such close inventory of our most valuable asset –our human capital and its performance? Get up-to-date with your performance management today. Find out who your talent is and who needs some work, and do it all effortlessly. If you would like to see what the future of performance management looks like, take a demo and see the difference.